We are so very excited to share with you all the adorable Zapalac family and their Mission Concepcion Family Photos. The momma of this crew is good friends with my sister so it was awesome that we got to hang out with them for a Family Petite Session. 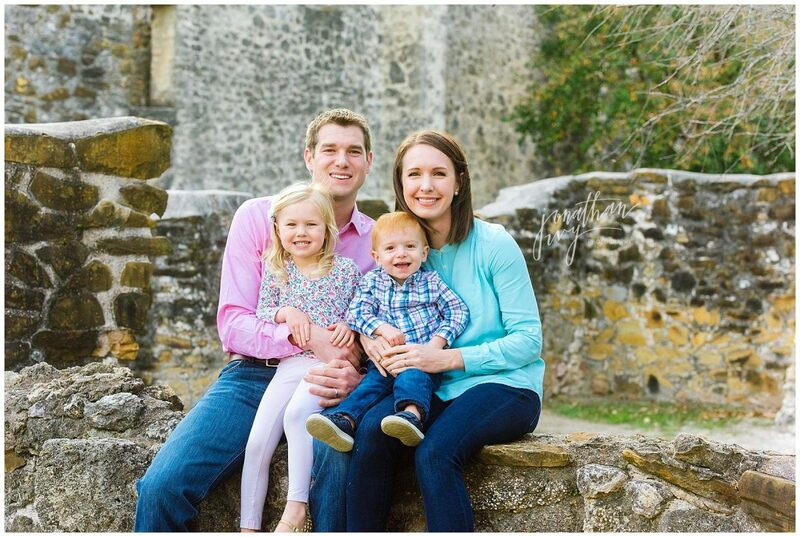 Here are a few of the favs from their Mission Concepcion Family Photos. We always make time to snag some photos of just mommy and daddy at family photo shoots. Jordan, the mom here is a veterinarian so she is our oldest daughter’s hero. And our Emma never fails to ask her some ridiculous animal question that Jordan graciously creates an answer too. So if you need a great vet in Northern San Antonio, we have one for you! Kyle, you might want to start brushing up on karate or polishing your weapon of choice because you are going to be one busy dad in a few years. Check out the oldest of the Zapalac kids. We hope you enjoyed this beautiful San Antonio Family Portrait session. If you are interested in learning more about our family photo shoots or perhaps our Petite Family Sessions (which are great for families with little kiddos) please reach out above by clicking the Contact Us button.